Imagine working in a job everyday where you are constantly stressed. And when I say "stressed" I mean levels of stress that give you headaches. Every. Single. Day. How would you react if you were in a job where no one really explained what you were supposed to do? And the directions kept changing, so even when you think you've got it, you're wrong. Everyone who instructs you talks way too fast for you to understand, and then they get annoyed when you're confused. You often feel as if your boss and coworkers blame you for not trying hard enough, because they say things like, "You need to try harder" or "You didn't listen to directions" or most commonly, "You need to FOCUS! Why aren't you listening?" when really you are, but it's like trying to decipher a foreign language. And even when someone tries to help you understand, you feel singled out. Sometimes they even make you miss your coffee break because you need to catch up on your work. And boy, would that coffee break have helped you focus more. The atmosphere of your office is super distracting too, so that does nothing to help you focus. There's really bright lighting that hurts your eyes, annoying Muzak is playing everywhere and you cannot tune it out. Someone always brings a nasty smelling tuna sandwich whose odor permeates the entire office. There are notes and posters and brightly colored pictures and memos hanging on every square inch of wall space and it hurts your eyes to look at. Then, imagine having no friends at all among your coworkers. They all think you're kind of an odd duck, and you really don't get the rules of their social group. You would like their acceptance, but have no idea how to gain it. No one in the entire office has a clue what you are going through. This is what I imagine a day at school is like for my son, Danny, who has autism. And this is why Danny is my hero. When I read that the Spin Cycle's topic was "role models," many people occurred to me: Temple Grandin, Gandhi, Mother Teresa and Amelia Earhart. But after seeing Dictionary.com's definition of role model--a person whose behavior, example, or success is or can be emulated by others--I thought of someone else. Someone who I admire greatly. Someone who, despite great personal struggle, continues to progress and improve. Because even though school is an amazingly stressful place for my son, he never gives up. Danny has struggled to attain almost every major milestone in his life. I can only think of a handful that occurred naturally. Every other one took hours of therapy and instruction and practice. Things that come relatively easily to most kids take much work for Danny---learning to speak, to use the bathroom, learning to count money and read a book are just a few examples. And yet, despite all the adversity, Danny has thrived. He has learned and grown and succeeded because of his hard work and determination. And because he never gives up. Ever. But what's even more incredible about my charming son is that he has not let these struggles crush his spirit of adventure and curiosity. Danny lives life to the fullest. He's exuberant and doesn't care if that makes him uncool in some people's eyes. He embraces experiences with a delightful sense of adventure, which makes being around him so much fun. Most people look at my son and see a kid who's quirky, different, even weird. But those people don't know anything about who my son really is. He is strong, courageous, and determined. 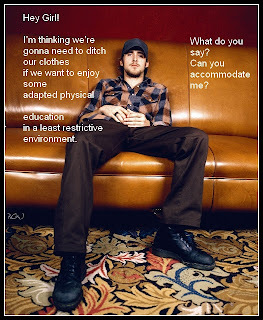 He is adventurous, ebullient, and passionate. And that is why Danny is the coolest kid I know. And this is why I want to be just like him. 5--"Mommy, what's that big chunk in the sandbox? Hey, I think Tommy just ate it, whatever it is." 4---"Ahhhhhhhh! I got my pants wet! I'm wet!!!! I'mwetI'mwetI'mwet. Mommy, I'm WET! Change my pants, Mommy!" And, of course, you have no change of clothes in the car. 3--"I can't find my shoes! 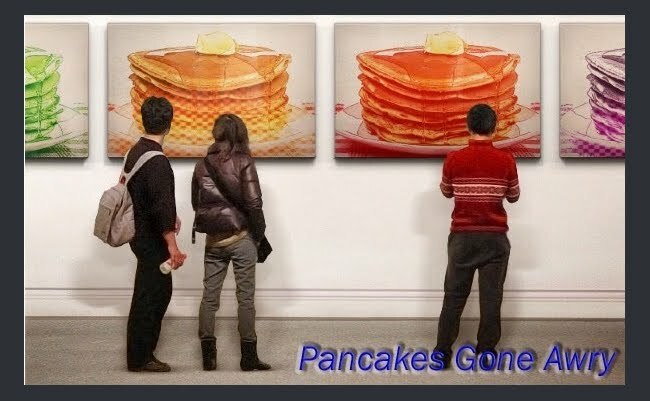 I don't remember where I left them." 2--"Mom!!!! Tommy is bleeding everywhere!" 1--"Moooooommmmmmm! Danny just peed off the bridge!" shouted at full volume repeatedly. 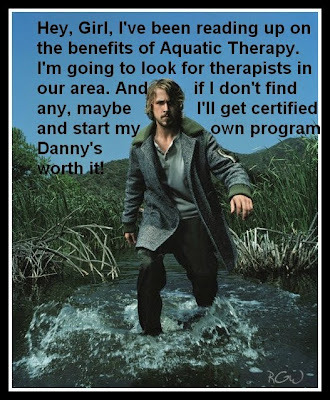 I am enjoying this Special Needs Ryan Gosling meme probably more than is healthy. But, honestly this couldn't have come at a better time. The last month and a half have been very overwhelming and stressful for me. A chance to laugh along with other special needs moms who totally get what I am going through has been surprisingly cathartic for me. 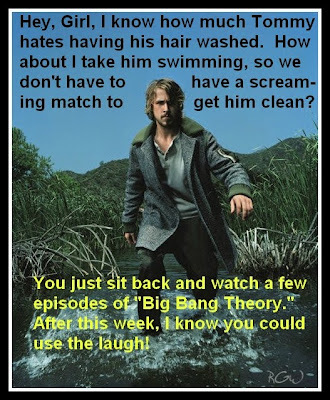 Check out more of the Ryan Gosling memes at Adventures in Extreme Parenthood, the blog of the hilariously funny Sunday Stillwell. If you need a laugh this week, Ryan Gosling can provide. Don't you just love a man who will take charge? 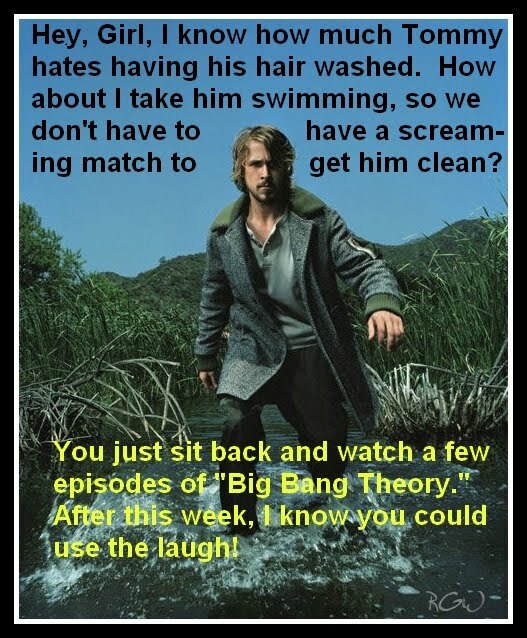 I hope we're not the only ones who think a trip to the pool eliminates the need for bathtime...... Before you judge, keep in mind that hair washing time in my family sounds like a torture session at Abu Ghraib. Kids with autism often have difficulty appropriately expressing and understanding their emotions. This is definitely true of Danny. Whenever he is feeling a strong emotion, no matter if it's good or bad, it seems to impair his ability to communicate. This is an especially big problem when he's angry. So, when Future Horizons offered me the chance to review "Exploring Feelings: Cognitive Behaviour Therapy to Manage ANGER" by Tony Atwood I was excited. This is a workbook and program to help kids with Asperger's, High Functioning Autism, or PDD-NOS learn to deal with their feelings, most specifically anger. Atwood collected a series of 6 sessions which can be used with groups or individuals. The sessions are very thorough, and each session builds on the previous one. Atwood helps kids understand what makes them angry, how their body responds to anger, and how to effectively and appropriately deal with the anger when it comes. I'm really excited about this program because it seems super easy to adapt it to a family group activity so Danny doesn't feel like it's just more homework. There is also much attention paid to developing tools to deal with strong emotions, like anger. I especially like the lesson where Atwood has kids think of a TV, book or film hero who has felt angry. He asks them questions like: Why did he/she feel angry? How did they cope with the feeling? What did they do or think that stopped the feeling from becoming too strong? We haven't tried implementing these lessons yet, but my plan is to try them out this summer, when we have some more free time. If you're concerned about how your child deals with anger or other strong emotions, I would recommend checking out this book. The way the lessons are set up really get the kids thinking about their feelings and how to control them, and it's all done in an interesting way. I am so excited about this book! As usual, if you are buying this book from Future Horizons (which I highly recommend), you can get 15% off and free shipping if you use the code PH. Remember, the 15% off applies on anything you purchase there, no matter how much you spend. It's a great deal! In college, my best friend Kim and I periodically played cards with our married friends on a weekend. Hyper aware of our single status and very eager to change it, Kim and I watched our married friends in envy. Wonderfully sweet Ellie encouraged us, angrily refusing to understand why we weren't besieged with date offers on a daily basis. Loyal to the end, Ellie regaled us with pep talks full of our many (in her opinion) amazing qualities that any sane man should find irresistible. Kim and I laughed and shrugged, sometimes rolling our eyes like adolescents. We didn't really believe Ellie which, come to think of it, might have been part of our problem. She didn't let our pessimism get to her, though. She refused to let us think badly of ourselves. One comment that was sure to elicit some vigorous eye rolling occurred when either of us lost a card game. Ellie would proclaim triumphantly, "Unlucky in cards, lucky in love!" Kim and I chalked up Ellie's uber flattering opinions of us to her sainthood. Her pep talks were similar to those you might have received from your mom as a preteen. Sure, mom, YOU think I'm beautiful, but you HAVE to say that. You're my mom. You know, that kind of thing. The years passed on and we all moved to different parts of the country. And Kim and I were still experiencing a romantic dry spell. A very long and painful dry spell. Sure, we each dated. But not much. And no one with any promise. We would call each other and bemoan our lack of prospects, and we came to believe that Ellie had to have been out of her mind. We were hopeless. Finally, Kim met Derik, an acquaintance of mine from Chicago. And eventually I met Bil. And the rest is history. Over the years, especially when playing cards, or when I've received an email from Ellie, I remember her saying, "Unlucky in cards, lucky in love" and it makes me smile. Which makes me think of Bil and how we met and fell in love. And it makes me think of why, after 10 years, we are still in love and holding hands, despite warnings from people that it would never last. More than anything, Bil is my best friend. He's the person I most want to talk to when I've had a great day. And when I've had a terrible day, Bil's the one who's there when I cry and rage and fall apart. I know he'll never judge me when I'm overwhelmed as a parent. Or when I'm angry at the kids. I can always depend on him. Always. And that's not all. Bil actually likes spending time with me and the kids. We have so much fun working on our geeky projects together, like writing incredibly cheesy Christmas cards. If something is important to me, Bil is always there willing to help. He gets my vision for LEGO Club and helps me with every stage of the project. And he enjoys helping. The more I talk with my friends, the more I realize how lucky I am. I have a somewhat unusual husband: selfless, thoughtful, uncomplaining, sensitive, funny, smart, patient, and loyal to the end. He's a good listener, a caring friend, and an awesome team player. So, I guess Ellie was right all along. I AM lucky in love. Though I still don't really believe her assertions that I deserve it. For more posts on Luck, visit Gretchen at Second Blooming who hosts the Spin Cycle. 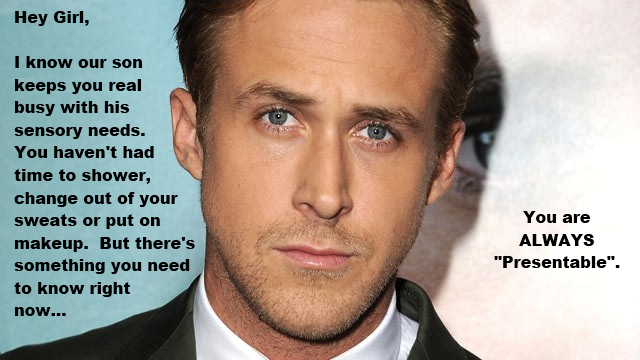 The Special Needs Ryan Gosling meme that Sunday Stillwell started is still going strong. And thank goodness, too! I have never needed humor in my life more than the last several weeks. Thank you, Sunday! Make sure you check out all the other bloggers who are linked up in this meme. 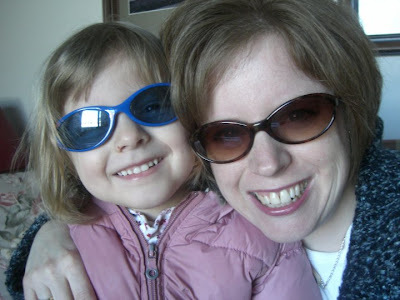 Just head on over to Adventures in Extreme Parenthood and you'll find a list of bloggers participating. 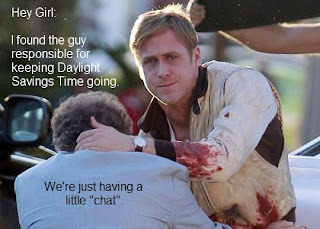 I'm thinking we aren't the only parents out there who rue the day some idiot came up with Daylight Savings Time. Every time it comes around, we have major schedule and mood disruptions here that honestly seem to last about 4 months. Which leaves us 2 months of peace and serenity, before it all starts up again. So, in honor of the torture we call "Daylight Savings Time," I have created another Ryan Gosling poster; if I don't laugh about it, I'll cry, scream and tear out my hair. And I don't look good bald. For more awesome Special Needs Ryan Gosling memes, check out Adventures in Extreme Parenthood. 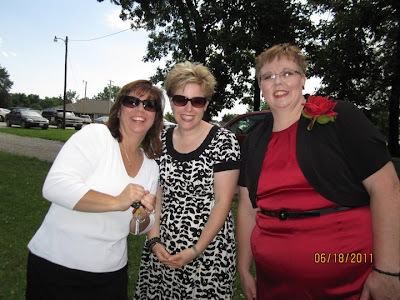 Sunday Stillwell is an amazingly funny blogger who has brightened this corner of the world with her humor! It's that time of the week again! 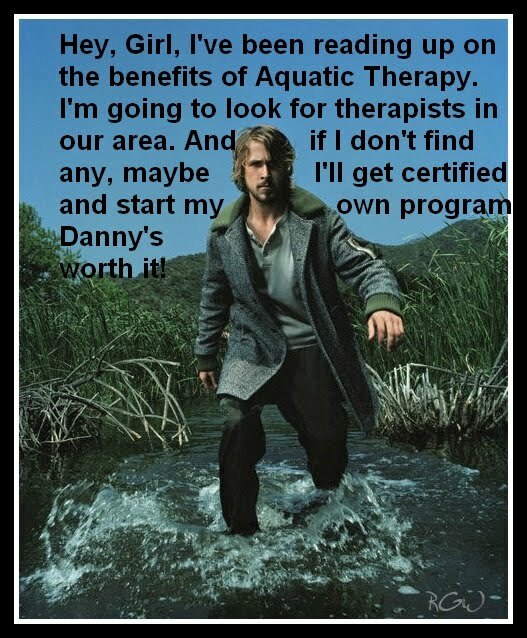 Special Needs Ryan Gosling time! 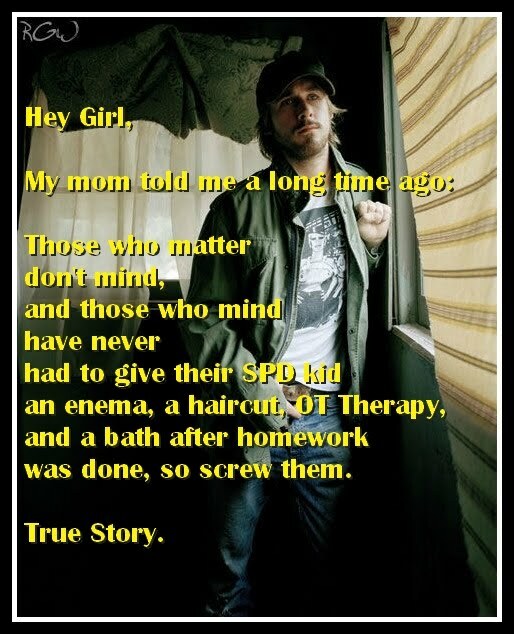 Be sure to check out Adventures in Extreme Parenting by Sunday Stillwell for more Gosling posters. They're all a riot! So, we're still having big eating issues with Danny and now Tommy has joined in, as well. So, yeah, the girl who swore she would never make separate meals for her kids is now eating her words. Gretchen, at Second Blooming, has decided to embarrass all the Spin Cycle participants; she made the topic hair and has specifically requested Big Hair Pictures. As it turns out, this was not a difficult assignment for me. 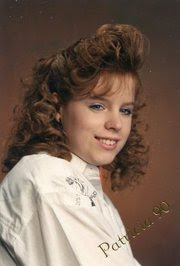 I embraced the 80s wholeheartedly. Pictures of my hair can attest to that. 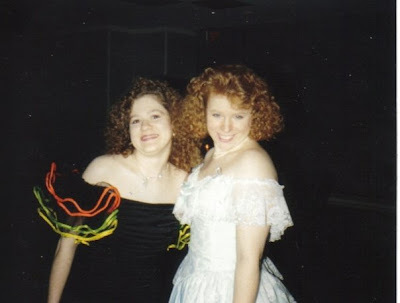 I spent many hours applying the better part of a can of Aquanet hairspray to my spiral permed hair before going out at night. For years, my curling iron was encrusted with a thick layer of melted hairspray, gel and mousse. Check it out. I'm the one on the right with the reddish hair. Like the outfit? And here is my glorious senior picture. I can't believe I am even posting this. I'm sure a good part of the hole in the ozone layer was created on the day this picture was taken. Since my teens, I have been on the hunt for the perfect hairstyle, convinced if I could just find the cut for me, my life would be transformed. I have spent more time than I care to admit, scouring hairstyle magazines and grilling family and friends about how I should get my hair cut. After many years of polling, my friends and family are sick of it. Every time I open my mouth, now, my sister says, "I don't care about your bangs!" So, instead of being an adult and just making a decision, I thought I'd ask your opinion instead. But, here's the thing: I'm sick of growing it out. I can't decide if I should give up and keep my hair short and spiky or grow it back out to a shortish bob. Please help me. I just know if I get the exact right cut, I'll magically lose 35 pounds and life will be infinitely better, just like in the shampoo commercials. Check out the Spin Cycle for other posts about hair! 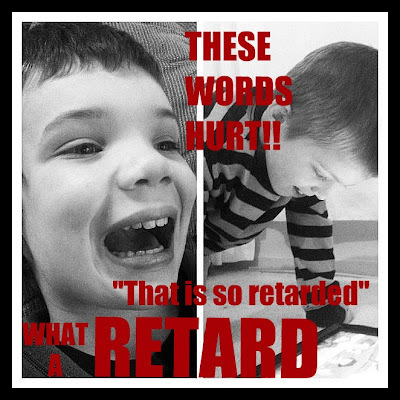 A couple years ago, I posted this story of when some kids called Danny a "retard" at the playground. It was devastating. But it also taught me a lesson. As a kid of the 80s, I used the word "retard" and "retarded" with abandon. Bad hair day? Yep, my hair looked retarded. Forgot my homework at home? I must be a retard. Someone did something stupid? I called them retarded. I'm ashamed of that, now. I had no idea, no idea at all how destructive and hateful that word is. But now I know. Unfortunately, I had to learn from personal experience. So, please, please, please stop using this word! This public service announcement sums it up perfectly. I recently read What I wish I'd Known about Raising a Child with Autism: A mom and a Psychologist Offer Heartfelt Guidance for the First Five Years by Bobbie Sheahan and Kathy DeOrnellas, Ph.D. As the title implies, this book is ideal for those just starting off on the autism journey. Filled with all kinds of basic information about autism and its symptoms, it's the perfect book for the parent who suspects her child may have autism. This book has tons of great information, but what I think its absolute best attribute is the tone. Sheahan writes as if she is chatting with an old friend. She is not afraid to share her mistakes or foibles with us, which makes this book incredibly validating to parents. Sprinkled throughout are stories and quotes from Sheahan's own family, as well as other families with autism. Also, the general attitude is one of acceptance and understanding. 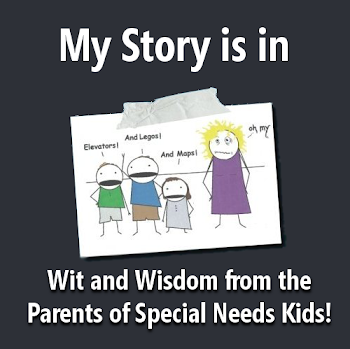 She encourages parents to really get to know their child, to understand his/her difficulties and try to work with them, instead of spending loads of time wishing their kid were normal. She discusses how as parents we need to advocate for our kids and their needs, regardless of how that makes other people (including family and friends) feel. For example, Sheahan has discovered that her daughter cannot handle multiple outings within the same weekend, let alone the same day. She regularly schedules in downtime for Grace so she can recover from a birthday party or trip to the zoo. She doesn't allow herself to feel guilty for possibly letting down her friends or family members, since this is what Grace needs. I could so relate to this! This is a definite must-read for parents starting out on the autism journey, but I think those with older kids can also benefit. I know I did! Don't forget that if you order this book through Future Horizons, you qualify for a 15% discount and free shipping. Just enter in the code PH when checking out! You can use this code to buy anything at Future Horizons, including conferences! Months ago, someone started this great Twitter hashtag: #youmightbeanautismparentif where people shared things like "#youmightbeanautismparentif your son just licked you." 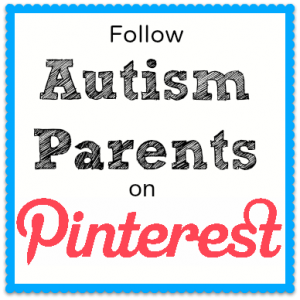 It took off and parents started sharing funny, snarky, and sometimes heartbreaking posts about life as an autism parent. Well, occasionally, there have been parents of neurotypical kids who responded that these things were not autism specific, that all kids do that. And that's how her new series started. Currently, there have been a dozen different bloggers who have weighed in on issues like "Picky Eating" (one of my favorites), "Driving," and "Hating School." The series is great--educational and incredibly validating all at the same time. So, I am honored that I have been included in this series. I'm up today at Yeah. Good Times. talking about worrying, about how the worries I have for Danny who has autism are significantly different and more obsessive than those I have for my younger two. 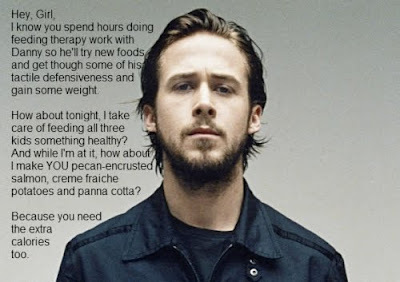 A few weeks ago, Sunday from Adventures in Extreme Parenthood seriously made my day with a Ryan Gosling Special Needs meme. I laughed so hard when I read it that I actually went back to it multiple times because it lightened my mood so much. So, I'm super excited that Sunday is encouraging other bloggers to join in the hilarity. She gives out a picture of Ryan Gosling and anyone who wants to make a poster can join in the carnival. Click on the image below to see all the other bloggers who have joined in. Their contributions are hysterical!